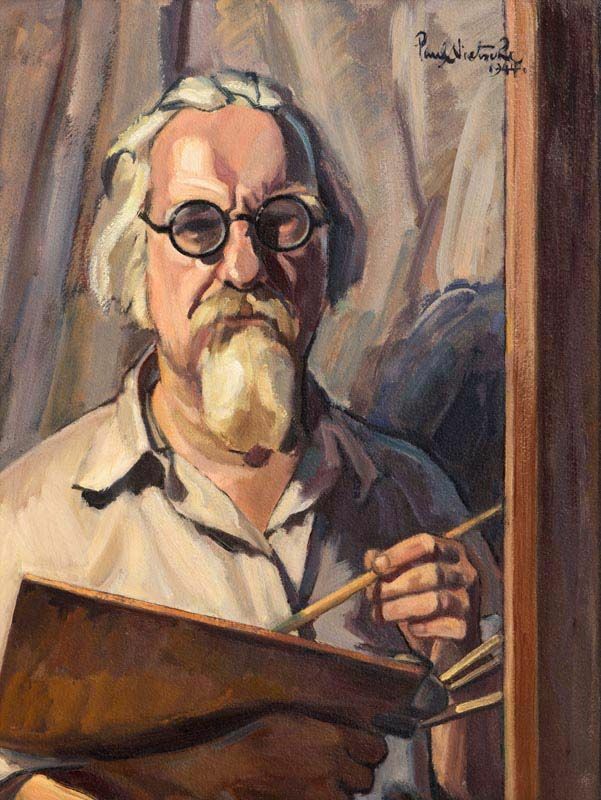 N – Art for Art's Sake! 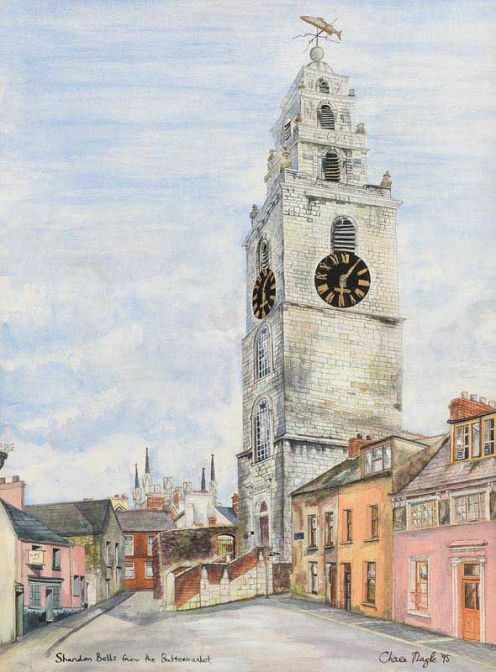 “Shandon Bells from the Buttermarket” 1995, watercolour (29″ x 21″), sold at Morgan O’Driscoll’s – 30/1/2017 for €380.00. 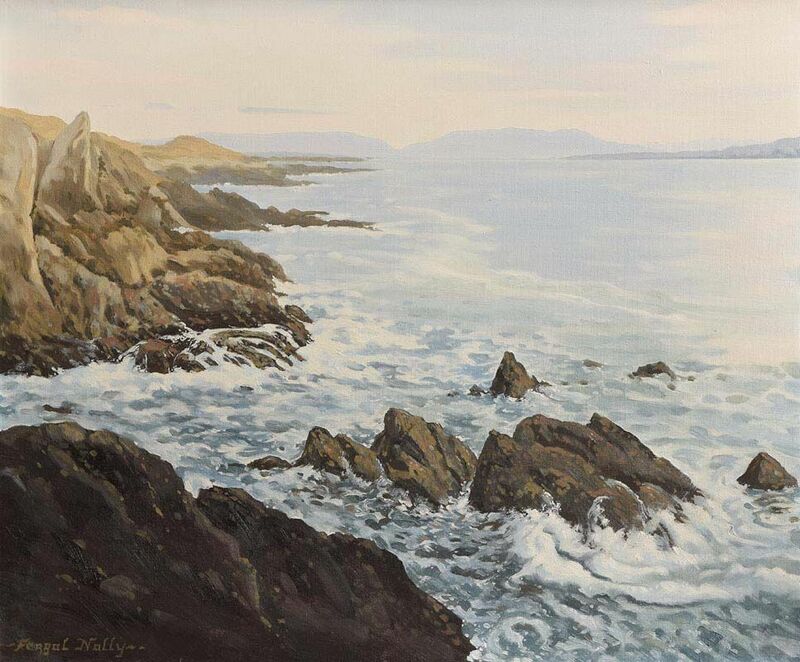 “Near Achill Sound” oil on canvas (30″ x 34″), unsold at Morgan O’Driscoll’s – 5/3/2018. 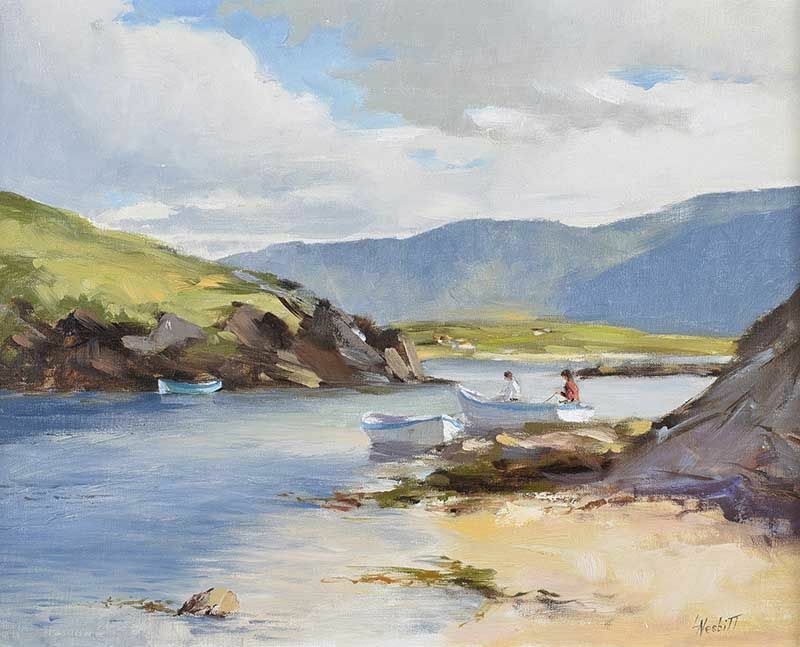 Left to right: “Achill Island” oil on canvas (20″ x 24″), sold at Morgan O’Driscoll’s – 6/3/2017 for €650.00; and “March Evening, Renvyle Bay, Connemara” oil on canvas (12″ x 18″), sold at Adam’s – 4/10/2016 for €2,100. 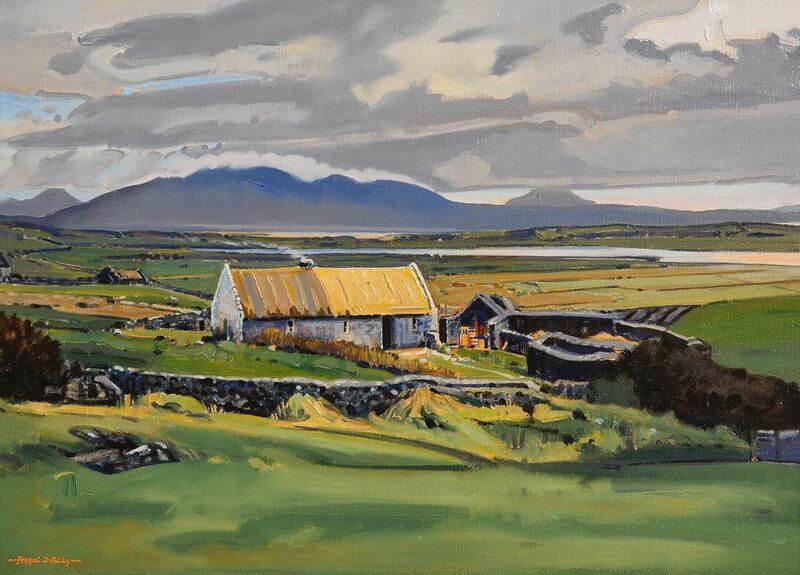 “Kiladoon, Co.Mayo” dated 2005, oil on canvas (22″ x 28″), unsold at Morgan O’Driscoll’s – 3/12/2018. 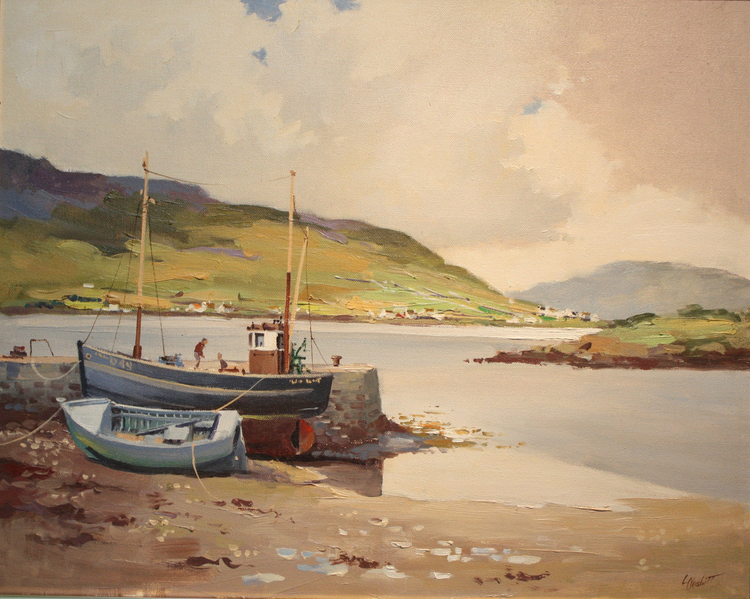 “A View of Achill” oil dated 1874, sold at Victor Mee’s – 7/11/2018 for €400.00. 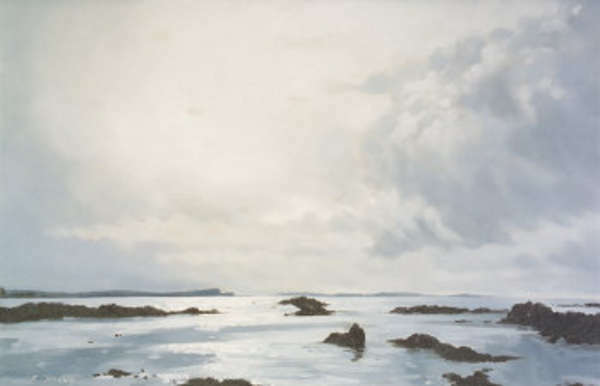 “Storm Clouds, Bantry Bay, Co.Cork” oil on board (14″ x 18″). 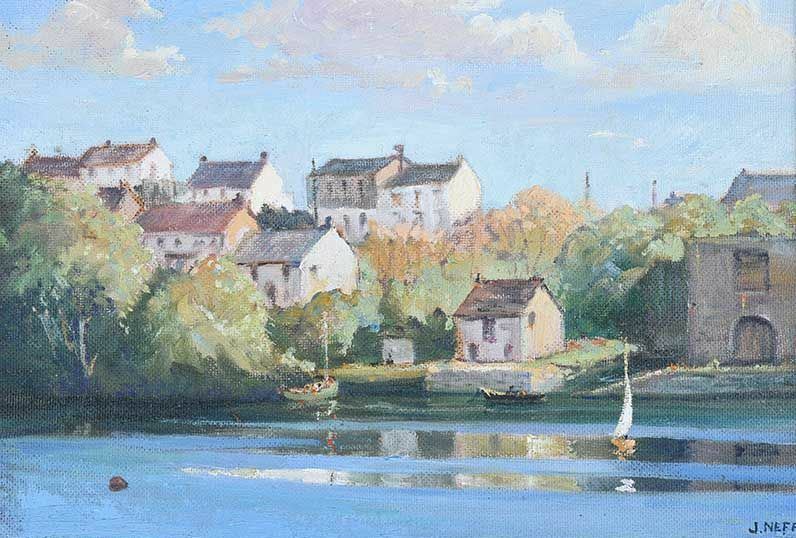 “The Boathouse” oil on board (12″ x 18″), unsold at Ross’s – 16/1/2019. 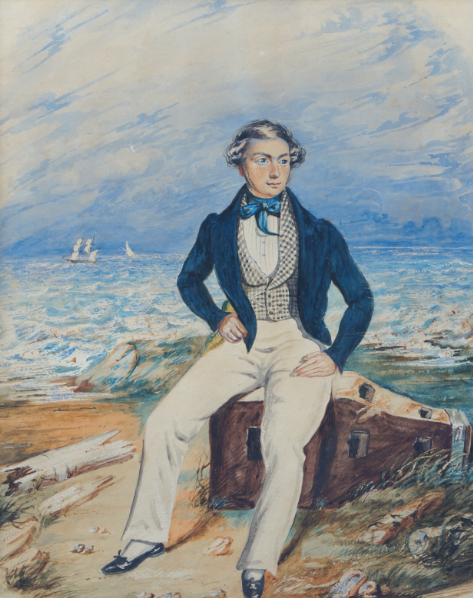 Portrait of a young mariner seated by the coast. Watercolour (12″ x 10″), sold at Sheppards – 29/11/2016 for €300.00. 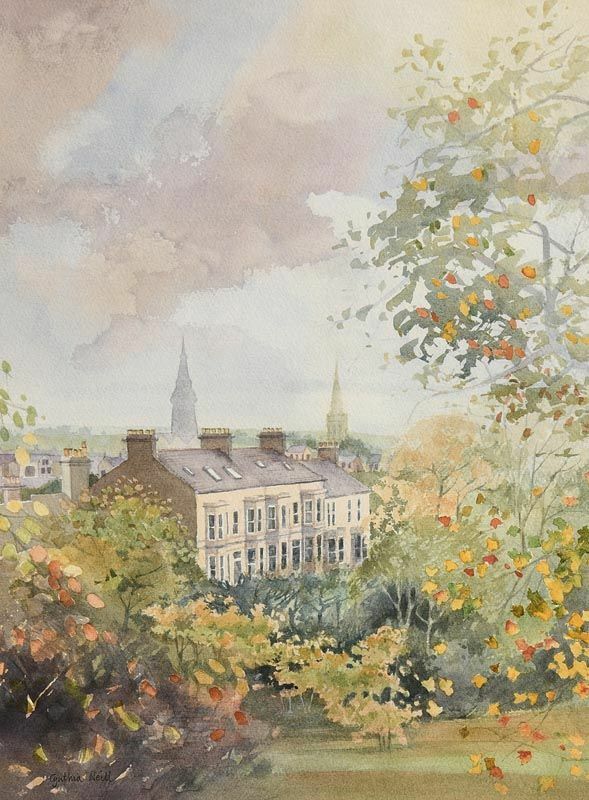 “Autumn in Bangor” watercolour (16″ x 12″), sold at Morgan O’Driscoll’s – 29/1/2018 for €80.00. 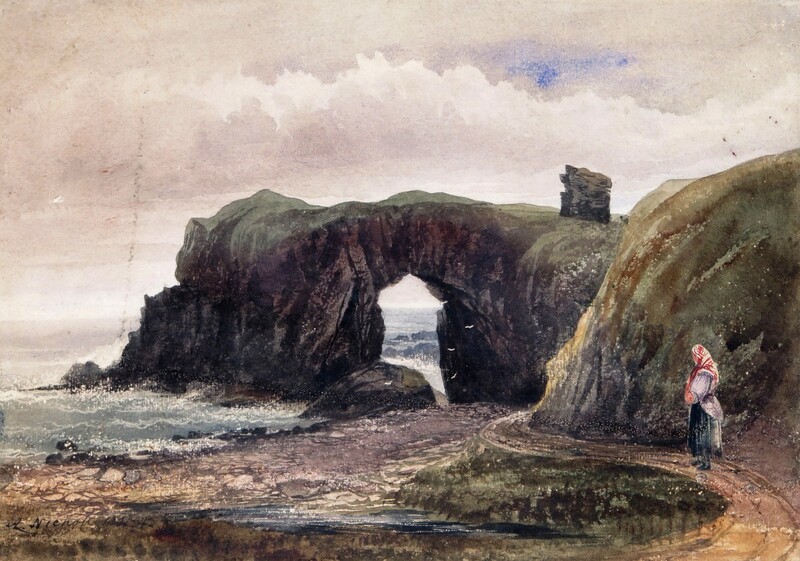 “Fisherman’s Cottage, Portballintrae” watercolour drawing (12″ x 16″). 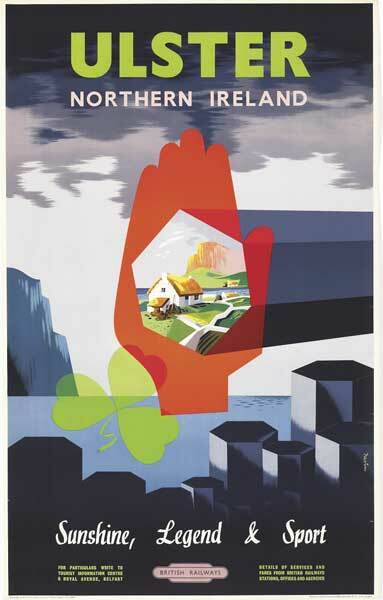 Leslie Nesbitt was born in Belfast. 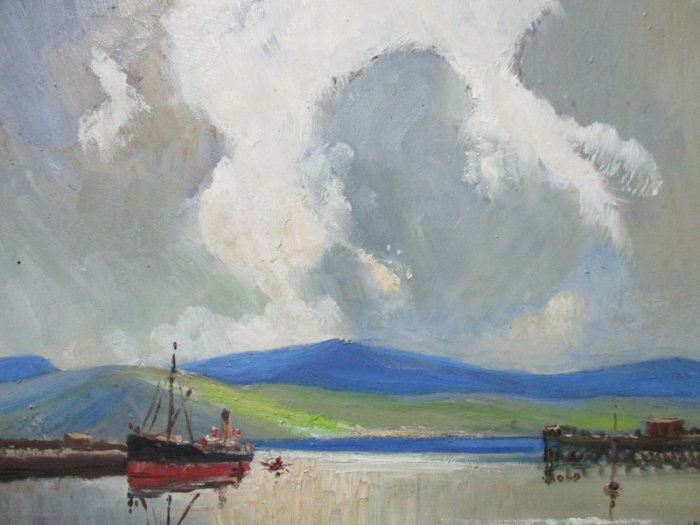 Left to right: “Moored fishing boat” oil on canvas; and “Fishing Boats, Donegal” oil on canvas (16″ x 20″), sold at Ross’s – 21/2/2018 for £120.00. 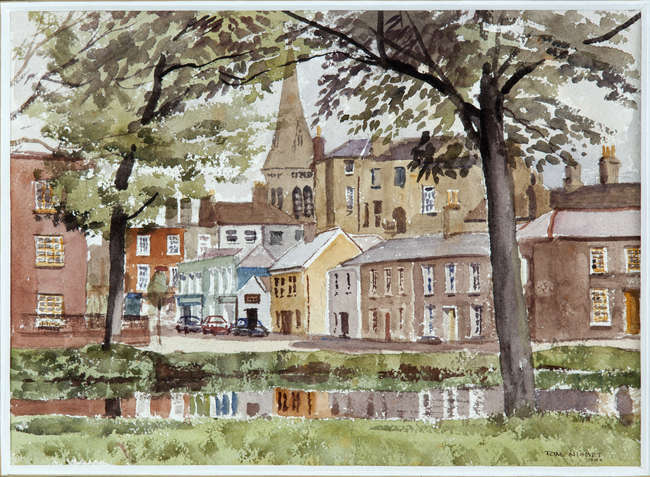 The artist also known as Pat, Paddy, or P. F. Nevin was born near Ballymena, Co.Antrim. 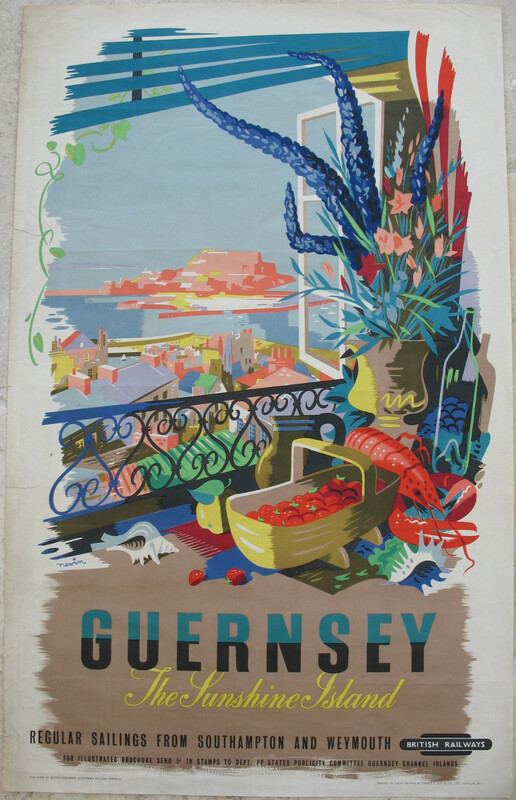 Left to right: “Guernsey: The Sunshine Iskand” (1949) and “Ulster: Sunshine, Legend & Sport” (1958) both published by British Railways. 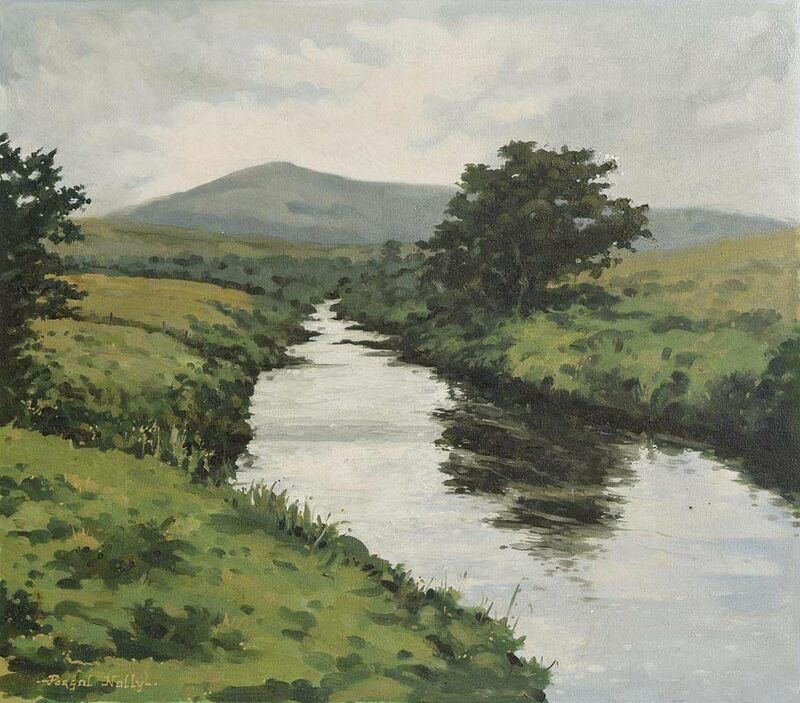 Originally from Cork the artist has been living and working in Dingle, County Kerry since 2007. She has an Honours Degree from Crawford College of Art and Design, Cork City. 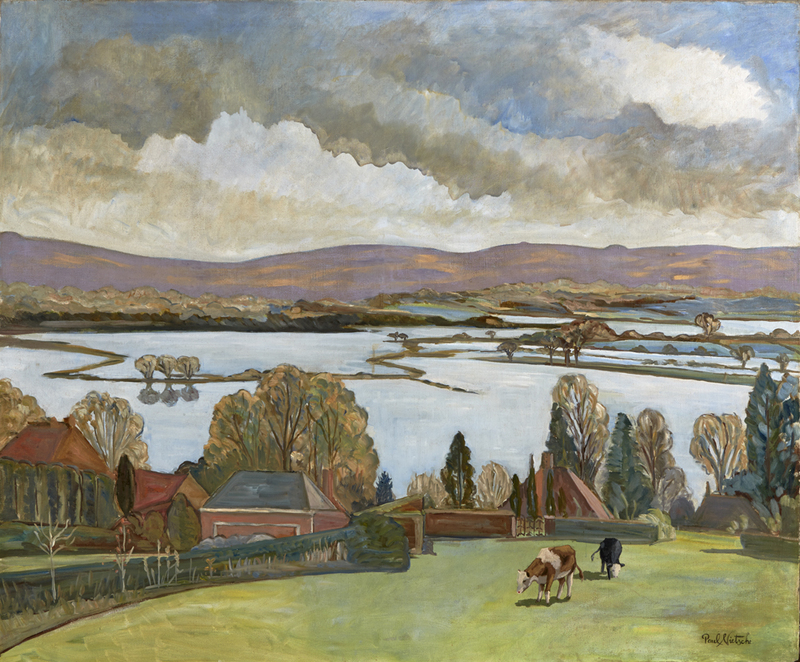 Her artwork can be found in many public and private collections. 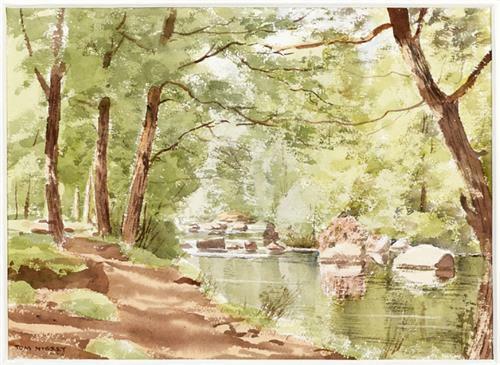 “Trees on the River Bank” watercolour drawing (10″ x 14″), unsold at Ross’s – 5/9/2018. 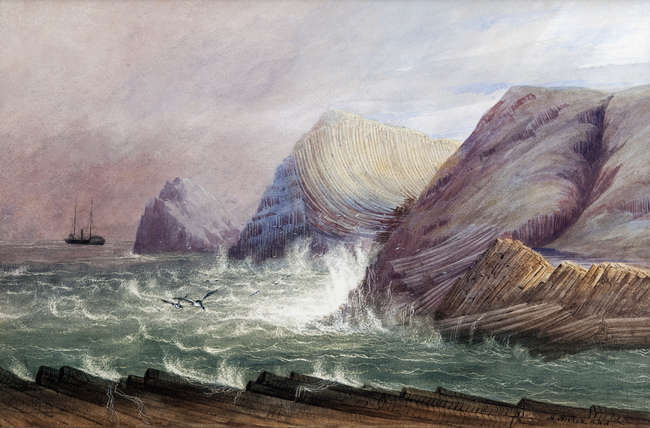 “Storm at Giant’s Causeway” watercolour (17″ x 26″), sold at Adam’s – 28/9/2016 for €1,900.00. 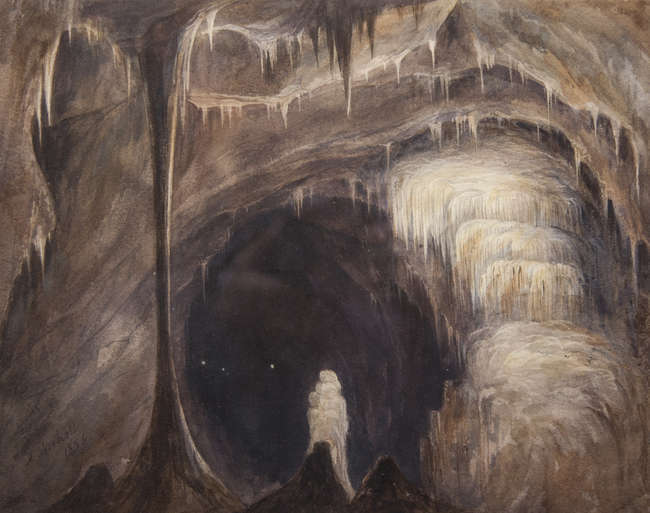 “Mitchelstown Cave” 1854, watercolour (10″ x 13″), sold at Adam’s – 13/12/2016 for €130.00. 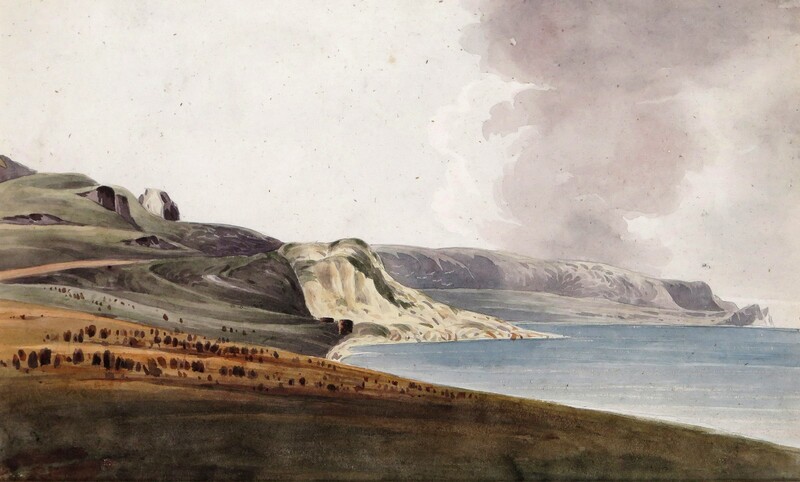 Left to right: “Ballyreagh Castle, near Portrush, Co.Antrim” watercolour with scratching out (10″ x 14″); and “Garron Point from Glenarm, Co.Antrim” watercolour over pencil (7.5″ x 12″). Both sold at Woolley & Wallis (Salisbury, UK) – 12/9/2017 for £300 and £320 respectively. 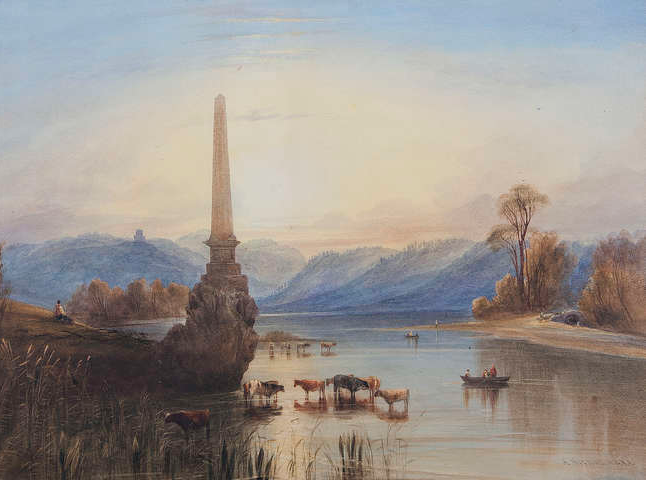 “The Boyne Obelisk, with cattle watering” watercolour (17″ x 23.5″), sold at Adam’s – 22/11/2017 for €2,900. 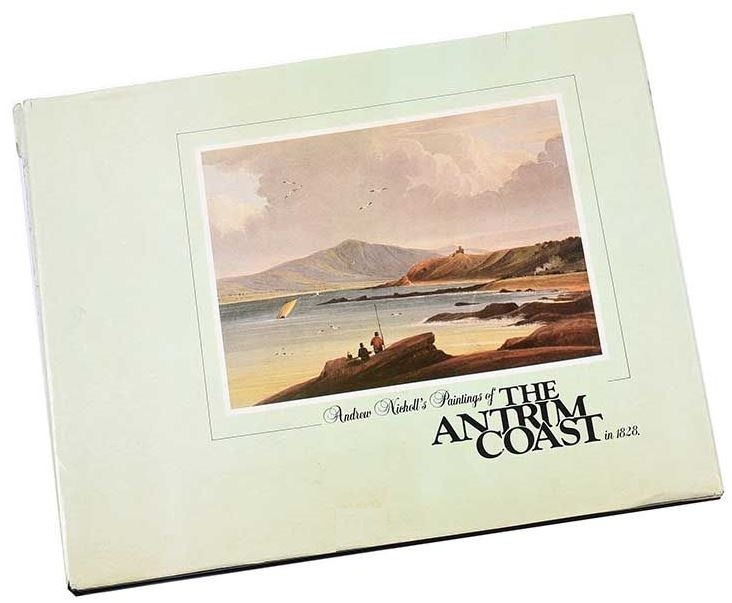 “Andrew Nicholl’s Paintings of the Antrim Coast in 1828” published by the Glens of Antrim Historical Society (1984). Twenty coloured plates. Scarce. 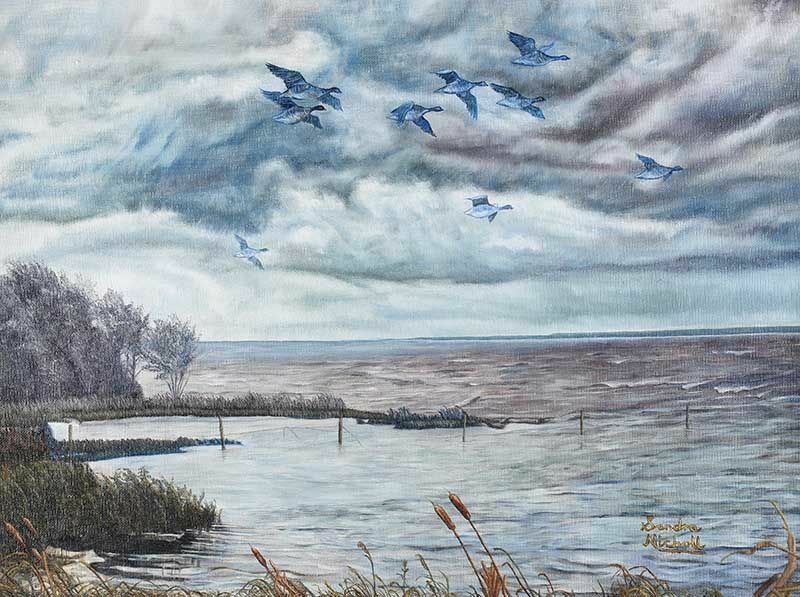 “Geese over Lough Neagh” oil on canvas (16″ x 22″), sold at Ross’s – 9/8/2017 for £120.00. 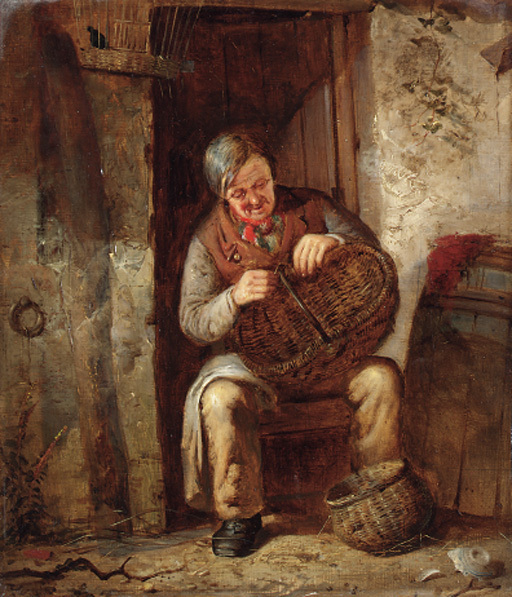 “The Basket Mender” oil on panel. 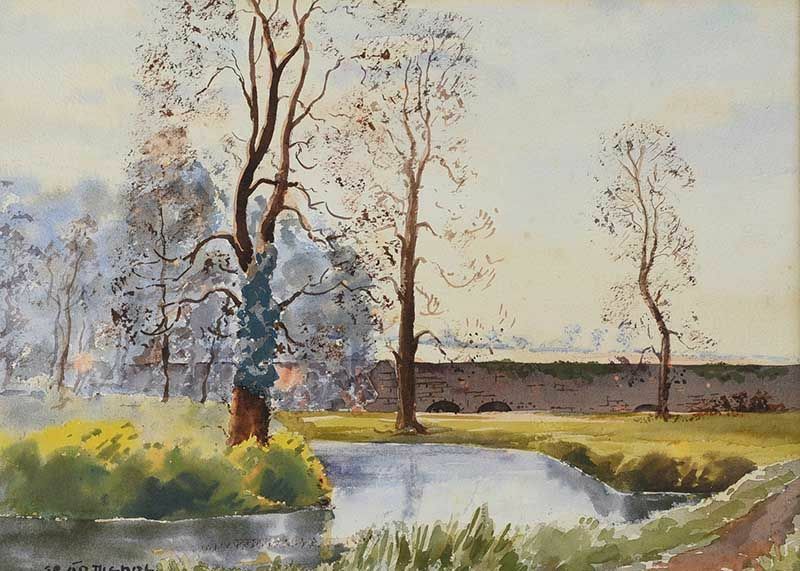 Sold at Christies, London – 19/5/2000 for £4,700. 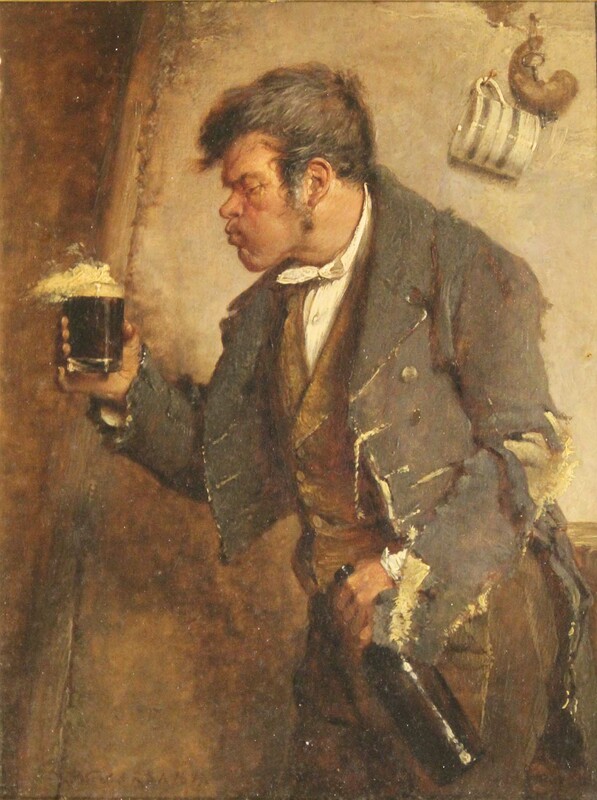 “Guinness’ Best” dated 1857, oil on panel (11″ x 9″), unsold at de Veres – 4/4/2017. 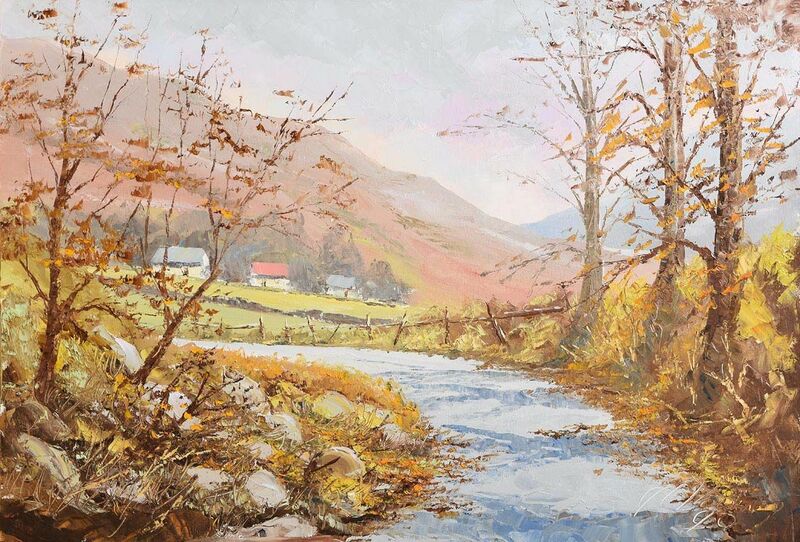 Scottish born landscape artist living and working in County Laois. 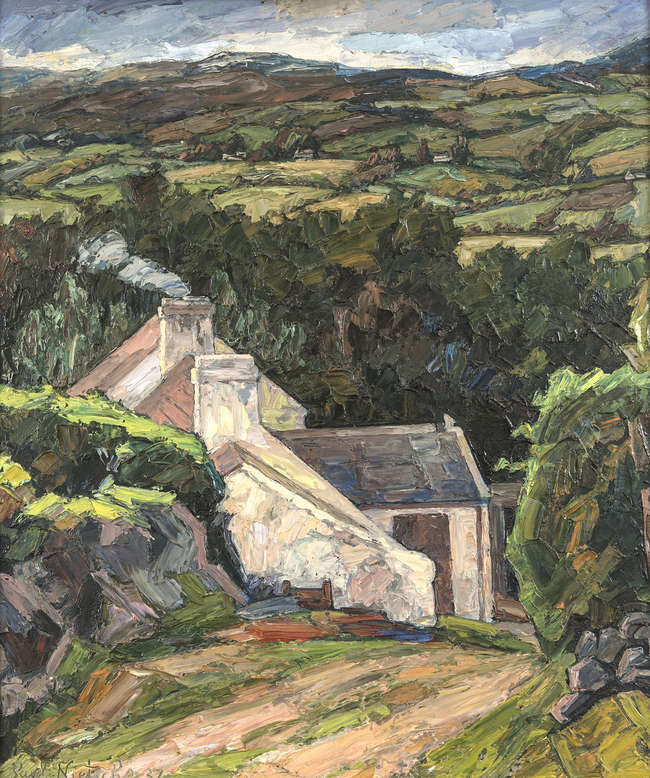 Left to right: “Cottage in a Mountain Landscape” oil on board (24″ x 20″), sold at Adam’s – 31/5/2017 for €4,200; and “Self Portrait” oil on canvas board, dated 1944 (27″ x 20″), unsold at Morgan O’Driscoll’s – 5/12/2016. 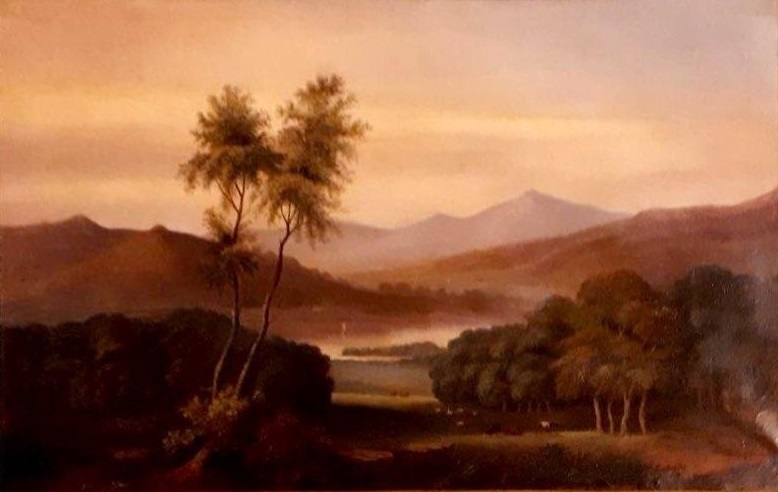 “Landscape” oil on canvas (40″ x 48″), sold at Whyte’s – 28/5/2018 for €2,800. 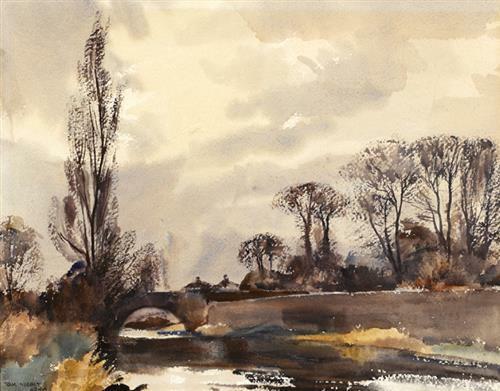 Left to right: “Landscape with River and Bridge” watercolour (13.5″ x 15.5″) and “River Scene” watercolour (10″ x 14″). 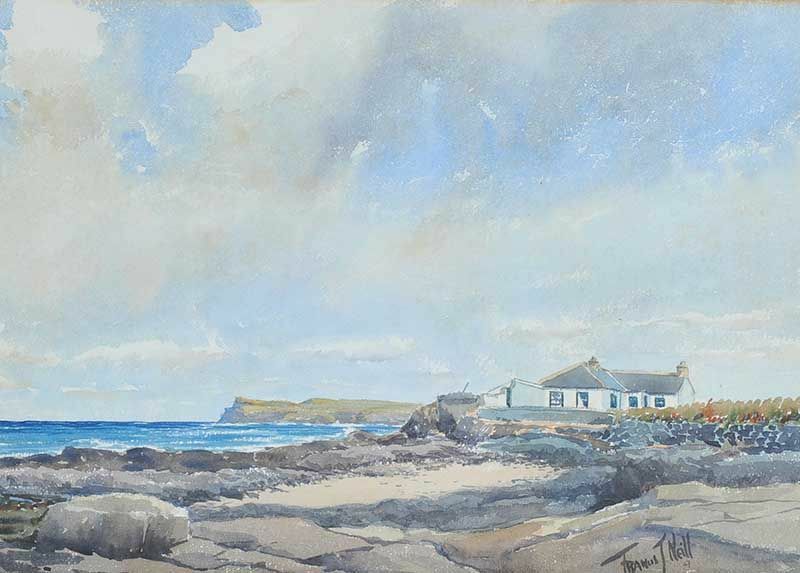 Sold at Whyte’s – 25/7/2016 for €240.00 and €190.00 respectively. 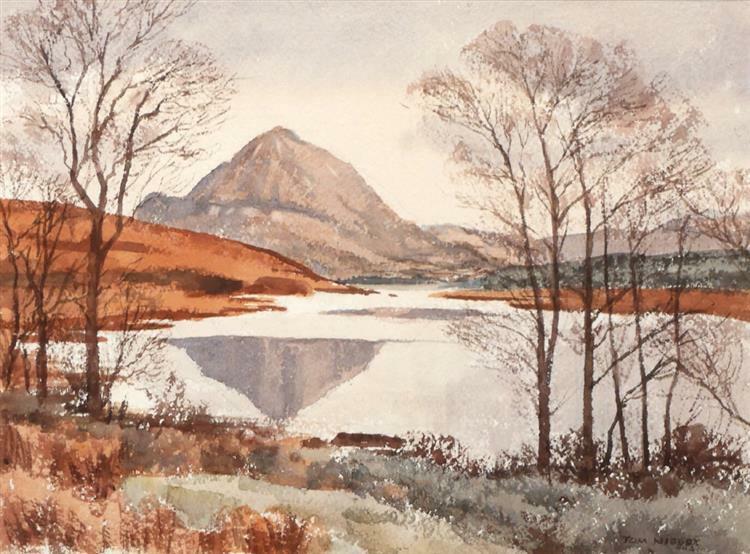 “Lake with mountain in the distance” watercolour (10.5″ x 14.5″), unsold at Whyte’s – 23/10/2017. 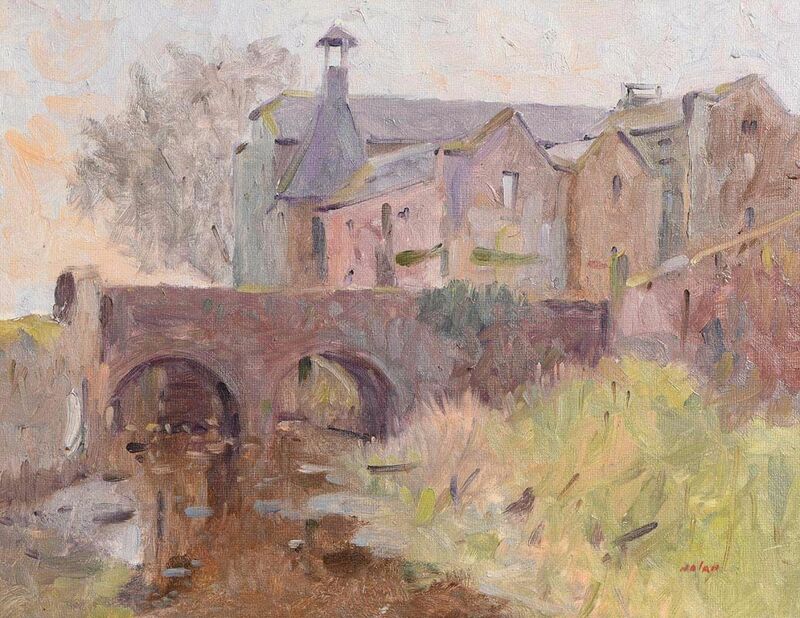 “Athgarvan Mill, Athgarvan, Co Kildare” oil on canvas (14″ x 18″), sold at Morgan O’Driscoll’s – 19/6/2017 for €400.00. 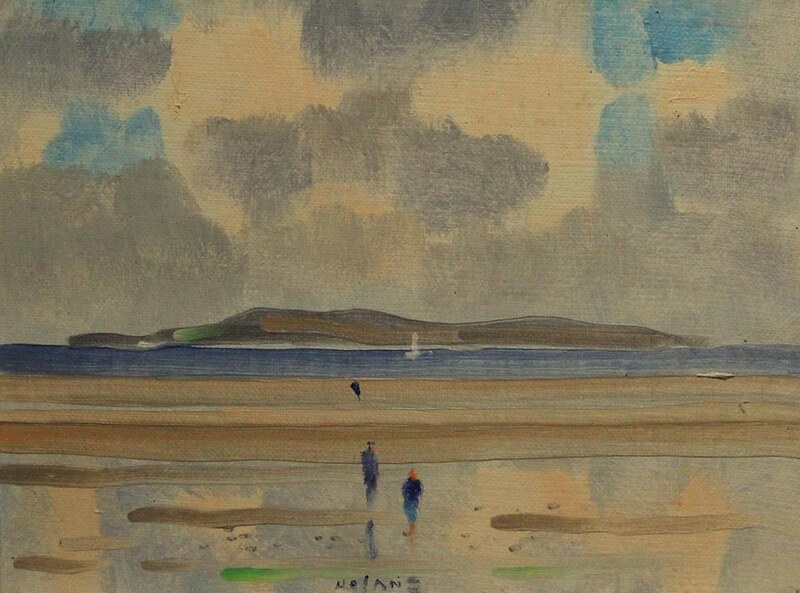 “Landscape, Baldoyle” oil on canvas board (8″ x 10″), sold at de Vere’s – 1/7/2018 for €150.00. 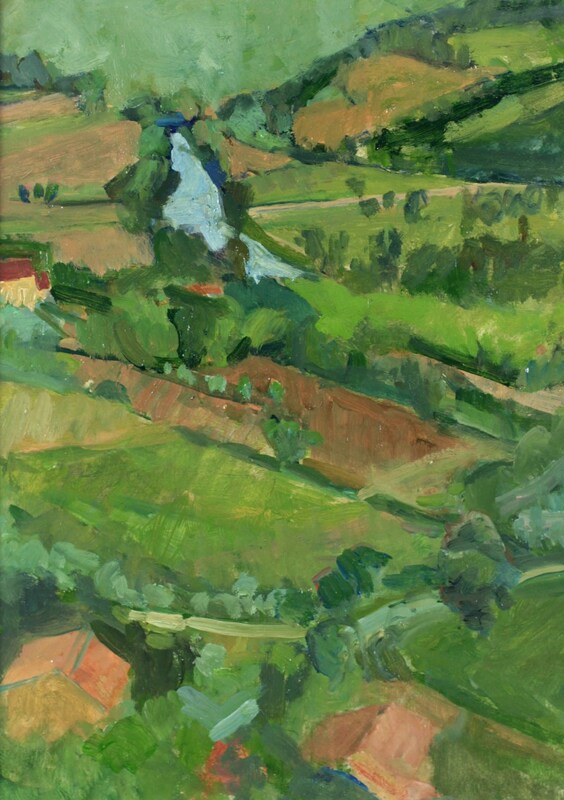 “Mountain Landscape” 1990, oil on canvas (24″ x 35″), sold at Morgan O’Driscoll’s – 22/5/2017 for €120.00. “Black Shack with boats at Walberswick” oil on board (12″ x 24.5″), sold at Fonsie Mealy’s – 7/3/2018 for €300. “Wexford Landscape” oil on board (14″ x 10″), sold at Fonsie Mealy’s – 7/3/2018 for €220.